With my new love of EPP my little Hexie's needed a take along bag. So out came the graph paper, the sharpies and I went to town.....I knew I wanted a place for my paper pieces, finished hexies, thread, pins, needles, thread heaven, thimble, seam ripper, the WIP and some extra fabric. Yikes that is a lot of stuff to squish into a small bag!!!!! Oh yeah, I need my scissors too! Can't live without those babies! I also wanted it to zip, not tie closed, so my stuff would not fall out. 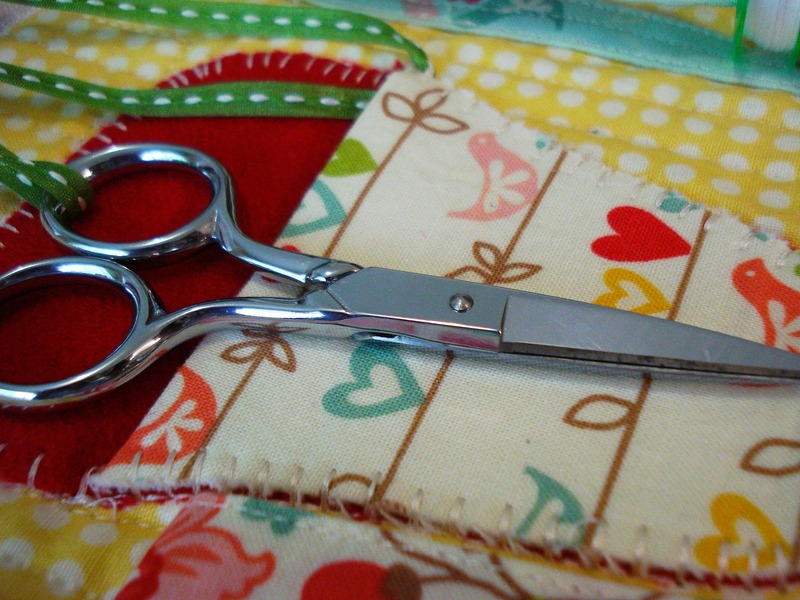 Those scissors and thimble cost a pretty penny! Here is a pic of my drawings....a bit messy.....I had lots of ideas, the finished item doesn't even look like this. Inside. 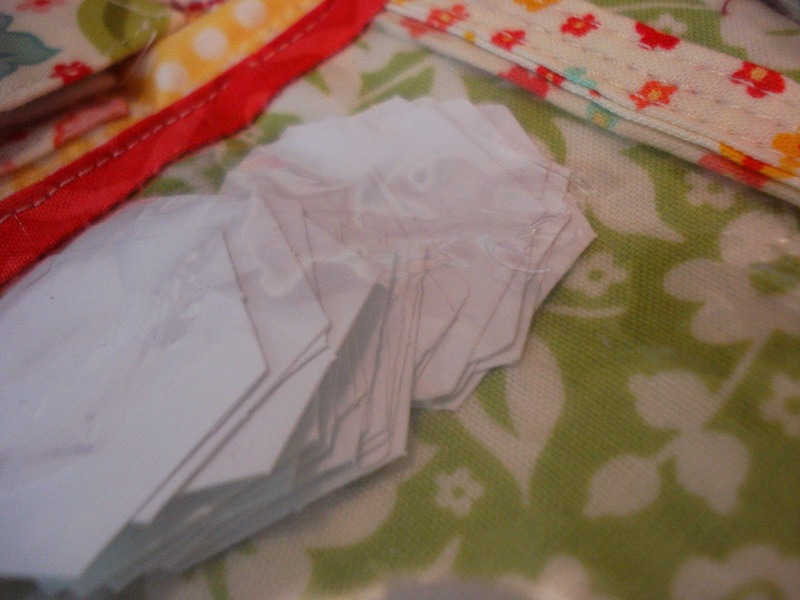 I made a clear pocket so I could see my paper pieces and finished ones too!! So happy with how the zipper came out. Somehow when I measured, I decided I needed at least a 27 inch zipper. I bought this 30 inch separating zipper which worked perfect. My scissors are on a ribbon so I don't lose them if they fall out of the bag. I had to reinforce the pouch with craft pellon so my tips will not cut through the bag.....hoping this works!! 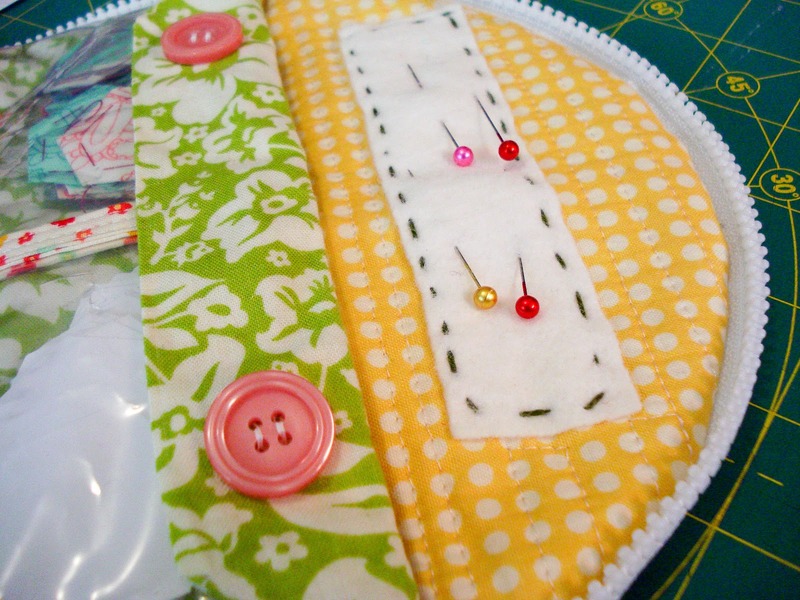 I have never made a tutorial or a pattern but I would try. What do you think? Anyone interested?? Like my thimble? I picked it up at the Road to California Quilt Show a couple years ago. Hand made sterling silver. Love it!!! Wow Kristin! Your projects are gorgeous! 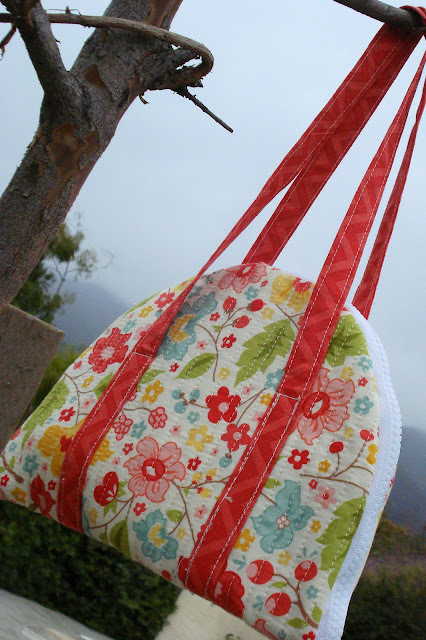 Yes, yes, yes please to a tutorial for your adorable and useful bag! I'm a new follower... found you at Plum and Junes. Thanks Deb, I follow your blog too! 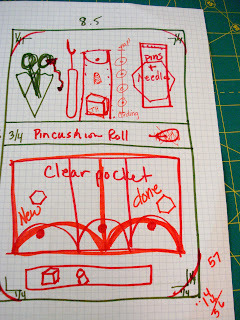 I will work on a pattern in January when I have vacation. I'm in retail so I have to get through Christmas then inventory before much needed vacation time. This blog motivates me to complete something every week. You should definitely do a tutorial... I have been working all afternoon with that same fabric line! I love this fabric, gonna go back and order some more! I love the purse. They say a Schmetz Microtex is good for multi layer seams. I do use the microtex a lot, I will try it first, maybe I will get through will no breaks! I LOVE this top. The colours are so well combined. How big is it? You called it a mini quilt. The purse is gorgeous, too! I would like to read your tutorial. Thanks Rike B! It's 22x29 inches, by Lisa Bonegan of Primitive Gatherings. 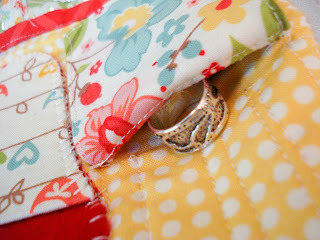 She has a fabric line and sells charm packs with 50 light and darks with no repeats. 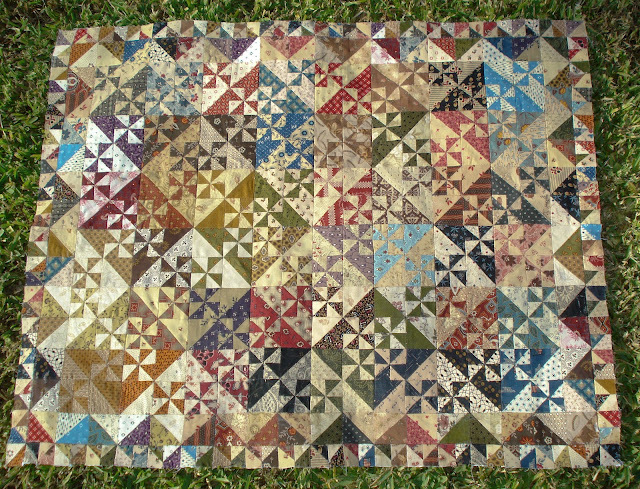 It give the quilt a nice scrappy look. What a clever bag. I like the way the zipper goes all around, so it can open flat. Thanks Angela, it was quite a trick to get it to open flat. That bag you designed is adorable! Love all the clever details you added. When I make mini quilts I trim the seam allowances smaller (about 1/8 instead of 1/4" to help reduce bulk. I've not had any needles break while quilting by machine. All my hand quilting needles bend eventually but I try to avoid seams in hand quilting. Thanks, Marcella! It has turned out to be pretty handy. Trimming the seams is a good idea. With this one I don't think I would have the patience to trim them all.....we'll see how it goes....thanks for stopping by!